The Capitol Grille is changing the way Nashville does fine dining. 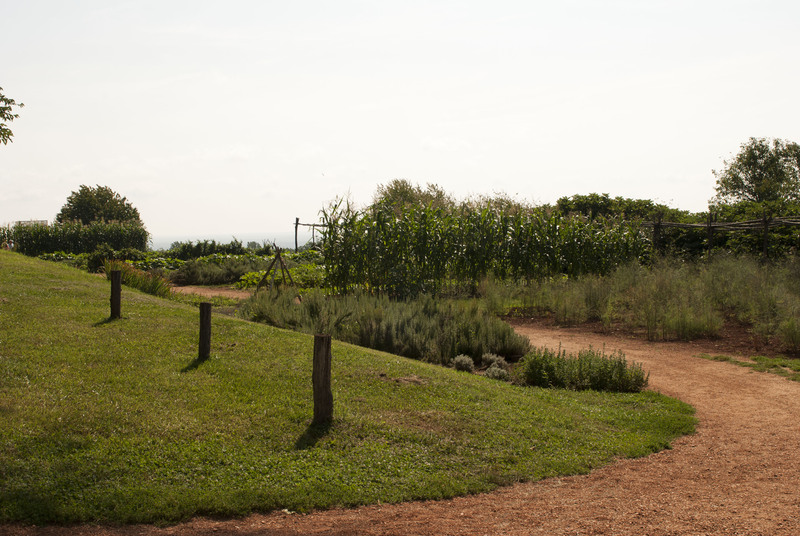 With the purchase of our second farm, Double H Farms, in 2012, our farm-to-table mission has blossomed into a way of life for our chefs, staff and patrons – and others have noticed. This November, Modern Farmer magazine featured our dedicated duo, Executive Chef Tyler Brown and Hermitage Hotel Managing Director Greg Sligh, in a fantastic article about our cattle operation at Double H Farms. We send our thanks to author Erin Byers Murray and the entire Modern Farmer team for spotlighting our mission and recognizing the ground-breaking work by our hardworking staff. Many restaurants today are raising their own produce, but Capitol Grille is one of only handful of restaurants worldwide to take the next step of raising its own beef. The article chronicles the development of our cattle farm, which Tyler and Greg began experimenting with in 2009. With the help of a local farmer at the already established Farm at Glen Leven, the team raised beef that was added to the Capitol Grille menu and met with rave reviews. This success at Glen Leven led to our decision to purchase a 245-acre farm west of Nashville that is now dubbed Double H.
Since the farm’s official founding in 2012, our herd has grown to over 120 head of cattle, and within two to three years, we expect Double H Farms to be our primary beef supplier. Tyler and Greg have worked tirelessly to make this dream a reality, shuttling themselves between their full-time jobs at the hotel and Double H Farms on a daily basis. “We could have 20 people working out here and Tyler could just call and say, ‘How are those cattle?’ But we agreed that we would start by doing everything ourselves so that we knew what went into it,” says Sligh. That means early mornings on the farm followed by late nights in the hotel, or vice versa depending on the day’s chores — with a stop at Glen Leven in between….“I want to be able to put my hands on everything at any given time. All of it is really overwhelming — and that excites me,”(Brown said). Chef Tyler is beginning to see the hard work pay off, and he is excited to see how the farming culture will continue to shape his staff and his kitchen. To read more about the farm and Chef Tyler’s thoughts on raising cattle, read the full story at Modern Farmer. It was a good time to be a tomato in the South. Thanks to a healthy serving of both rain and sunshine this summer, vegetable gardens are bursting with luscious produce of every variety, including the queen of the vine, the original passion fruit and veggiest of vegetables – the indomitable homegrown tomato. I’m having flavor flashbacks just thinking about it. It was an even better time to be a renowned Southern chef who knows his way around a tomato patch… or a row of beans, stand of corn, hill of squash or mess of okra. Bring all of this together in the state that has been Southern longer than any other, Old Virginia, and you have the fixings for a feast like no other. Which is exactly what we – the Capitol Grille crew – had a couple of weekends ago, when Tyler Brown—executive chef of the Capitol Grille—traveled to Virginia to join two chefs in celebrating Keswick Hall’s Summer Bounty Garden Party. 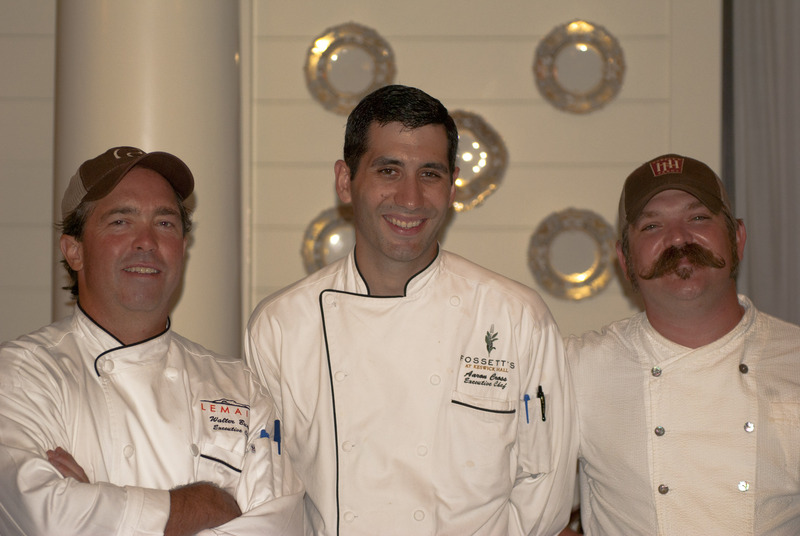 Together, the three chefs prepared a four-course meal for guests of the event using the season’s freshest ingredients. The two chefs Tyler collaborated with on Aug. 8-10- were: Walter Bundy of Lemaire Restaurant at The Jefferson Hotel in Richmond, Va., and Aaron Cross of Fossett’s at Keswick Hall in Charlottesville, Va. 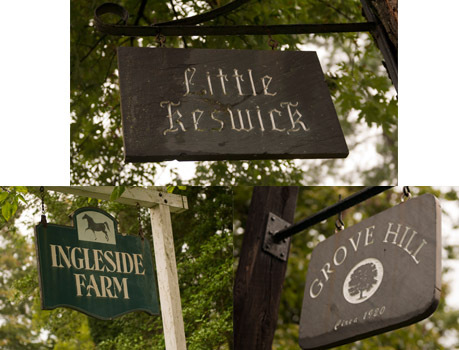 The Hermitage Hotel is a member of the same ownership group with The Jefferson Hotel and Keswick Hall, so this unique opportunity allowed guests to experience regional creations of three executive chefs from sister properties. This was the first time the three joined forces to prepare a meal together…it’s no surprise that the garden bounty party sold out in less than five days. The chefs were also asked to participate in downtown Orange, Va.’s Edible Orange Fest on Saturday, Aug. 10. The Summer’s Bounty Garden Party was the perfect prelude to the cooking demonstration given by the three chefs the second annual food festival. Check back soon for photos and recipes from the festival. We arrived in Charlottesville on Thursday, Aug. 8 to give ourselves plenty of time to explore the area before the Summer Bounty dinner the next night. First, we set out to experience some of Charlottesville’s best and freshest culinary delicacies. 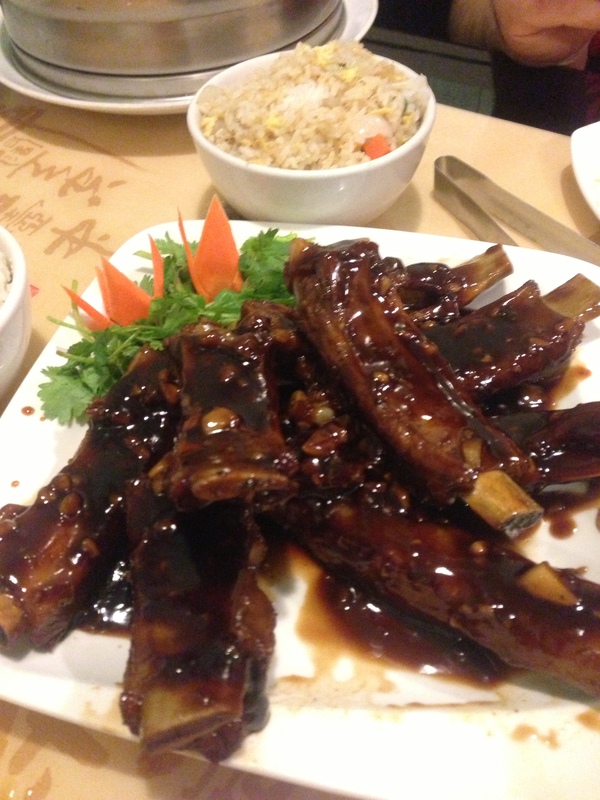 We decided on Peter Chang’s China Grill for dinner. 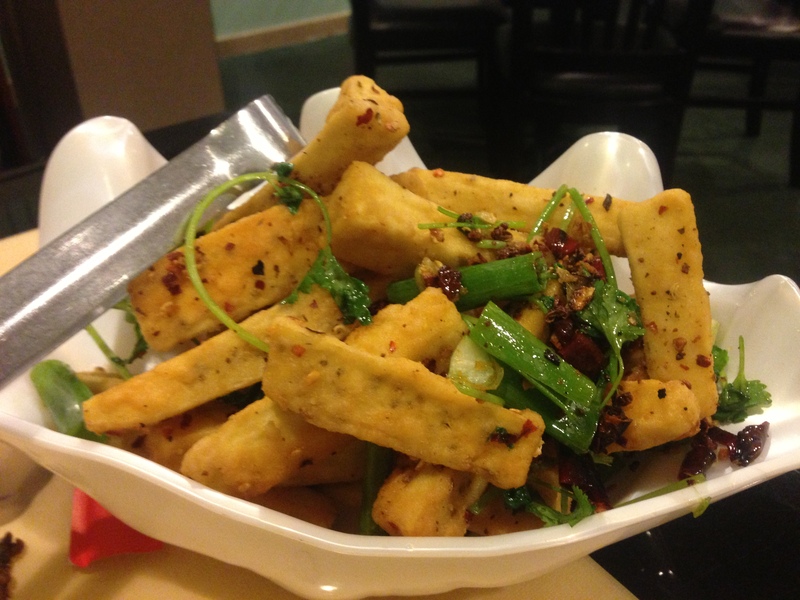 China Grill is an unassuming restaurant that serves authentic and legendary Chinese delicacies. Peter Chang, the restaurant’s namesake, owner and chef, trained in China and has cooked for Chinese president Hu Jintao as well as other dignitaries at the Chinese Embassy in Washington D.C. He’s seriously good at what he does. 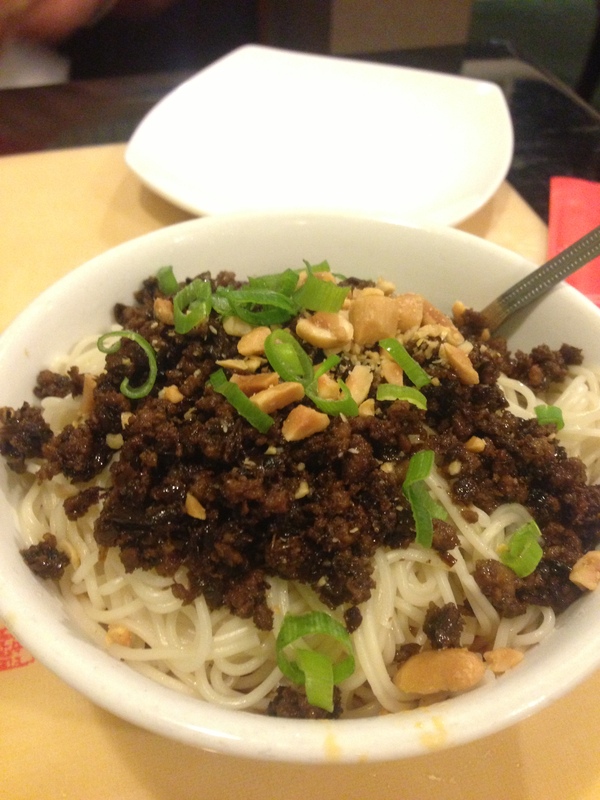 Chang’s restaurant is a must when you’re in the area, not just because of his delicious Szechwan cuisine, but also because he’s known to pick up and leave as soon as his restaurant is really popular. He’s been crisscrossing the South for most of the last decade. You never know where he’ll pop up next. With full bellies and happy hearts, we headed to Keswick Hall, where Tyler would join chefs Walter and Aaron the following evening for the Summer’s Bounty Garden Party. Keswick Hall at Monticello is a spectacular mansion nestled on a 600-acre private estate at the foot of the Blue Ridge Mountains near Charlottesville, Va. Built in 1912 as a gorgeous, Italianate-style estate, it was converted to a country club in 1948 and restored in the early 1990s as part of the world-class hotel that now graces a beautiful piece of Virginia countryside. 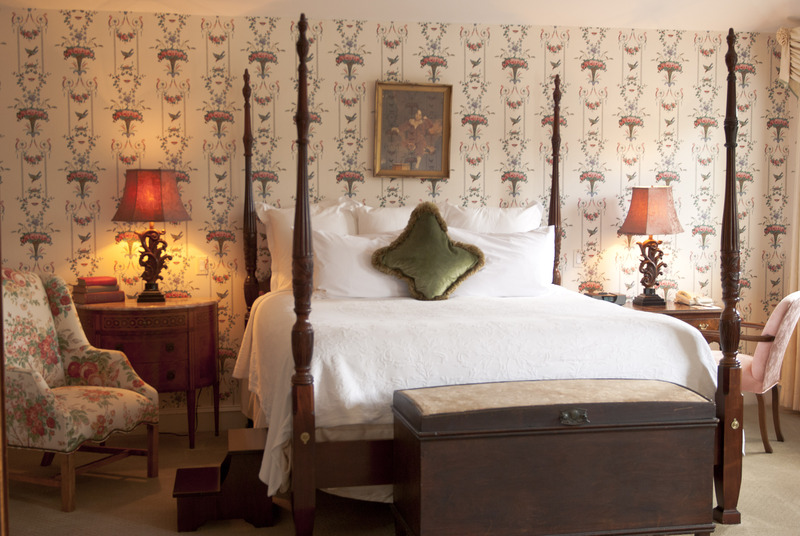 Each of the 48 rooms is individually and beautifully furnished with a special touch that creates the warmth of a bygone era. The rooms also offer spacious lounging areas with wood burning fireplaces and expansive terraces that overlook impeccable views of the mountains. We couldn’t help but relax in this tranquil environment. It’s easy to see why it has been named Conde Nast’s “Number One Small Resort in Mainland U.S.” twice in the last three years (first in 2010 and again in 2011). The next morning we traveled a few minutes down the road to tour Monticello, Thomas Jefferson’s historic home and gardens. 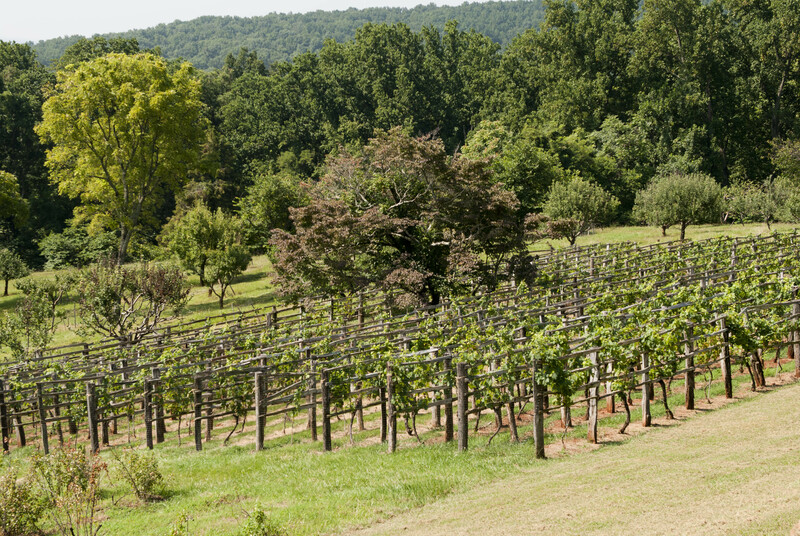 It was inspiring to learn about one of our founding fathers who shared our passion for gardening, good food and delightful wines. His understanding of the interrelationship between humans and the environment branded him as one of our country’s earliest agronomists. Maybe he was the “Founding Father” of the farm-to-table movement, too. 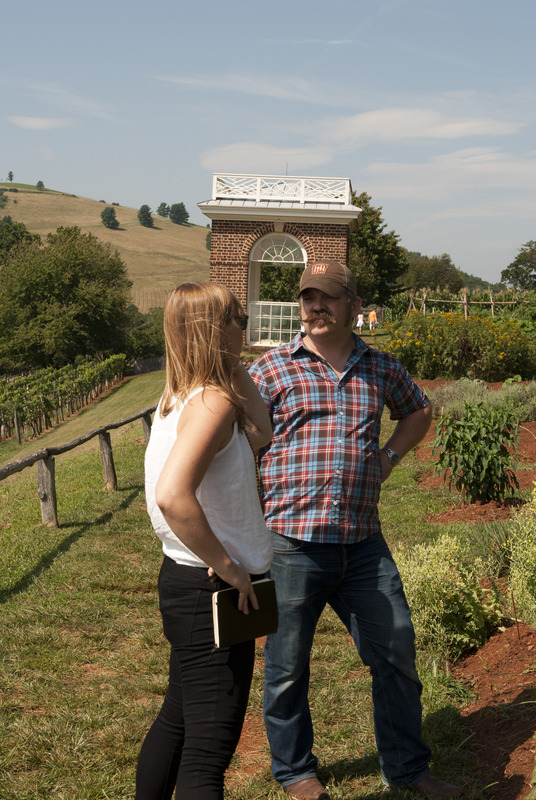 Over lunch with the planning and development team, we sampled dishes made with fresh, seasonal vegetables served straight from the gardens at Monticello, and marveled at Jefferson’s interest in and use of agricultural practices, such as crop rotation, fertilization and contour plowing. We also reflected on our own experiences with farming back home in Nashville at Glen Leven. We ventured back to Keswick Hall to give the chefs plenty of time to begin prepping for the evening’s dinner party. Along the way, we passed sign after sign for Virginia’s many farms while enjoying the view. The ride was quite picturesque and our afternoon was the perfect way to kick off the evening’s festivities. Driving through the Virginia countryside to the historic Keswick Hall inspired Tyler to go foraging through the property for some Queen Anne’s lace to use as a garnish for his dish—the Carolina Flounder—that night. The menu included four courses—each of them as fresh and delicious tasting as the next. 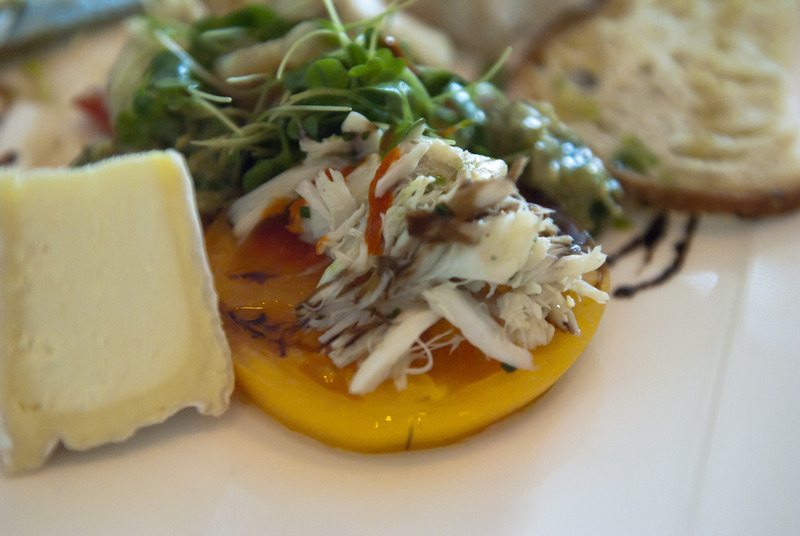 Chef Walter kicked it off with tender Chesapeake crabmeat served over slices of heirloom tomatoes and surrounded by Camembert cheese from Goats “R” Us. To garnish, Walter added grilled Vidalia onions and a homemade garden basil pesto from the Jefferson Hotel’s garden. His garden-fresh dish was complimented with Barboursville Vineyards’ 2011 vermentino. 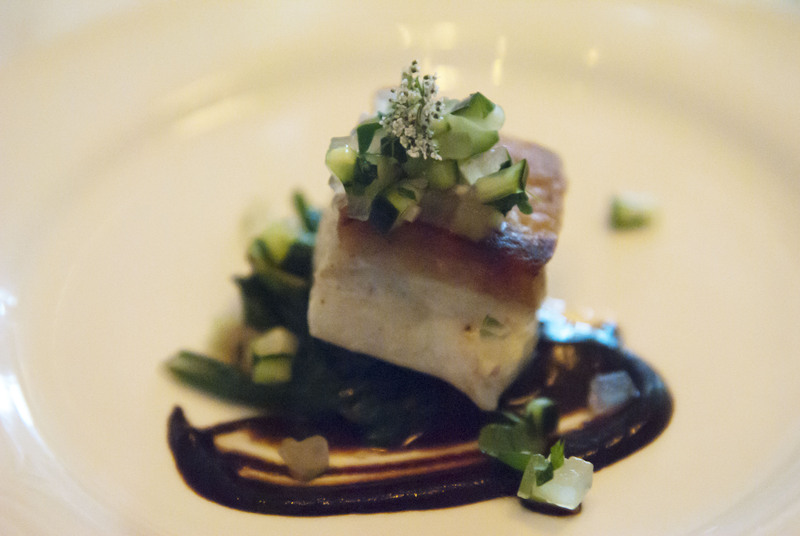 Our own chef Tyler prepared the second course: a Carolina flounder served with sweet cucumber and sprite melon relish from The Hermitage Hotel’s Glen Leven Farm, a sharp Swiss chard and a black garlic sauce. To top off the summery catch, Tyler paired his course with Michael Shaps’ 2009 chardonnay. Chef Aaron prepared the third course: Bubba’s Bison Rib Eye. 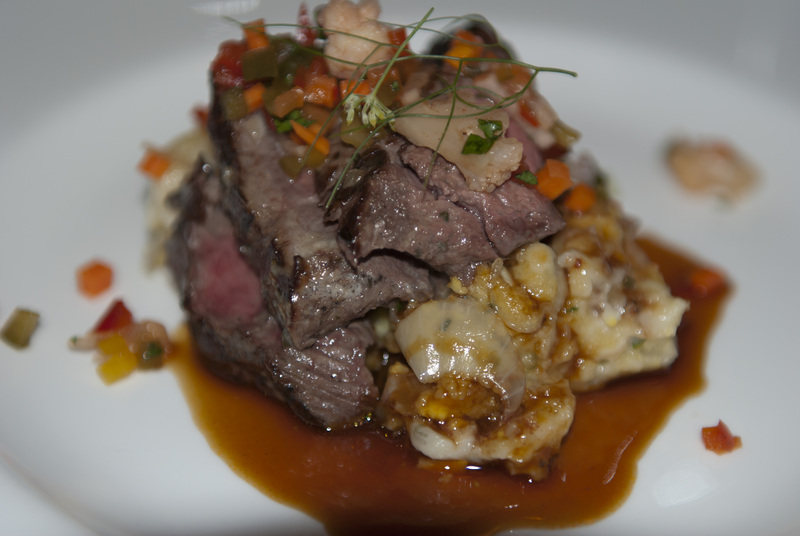 The bison rib eye rested on gratin potatoes and an arrangement of Keswick’s summer giardiniera and was accompanied by a toasted anise seed sauce. The dish was paired with Pollak Vineyards’ 2010 meritage. 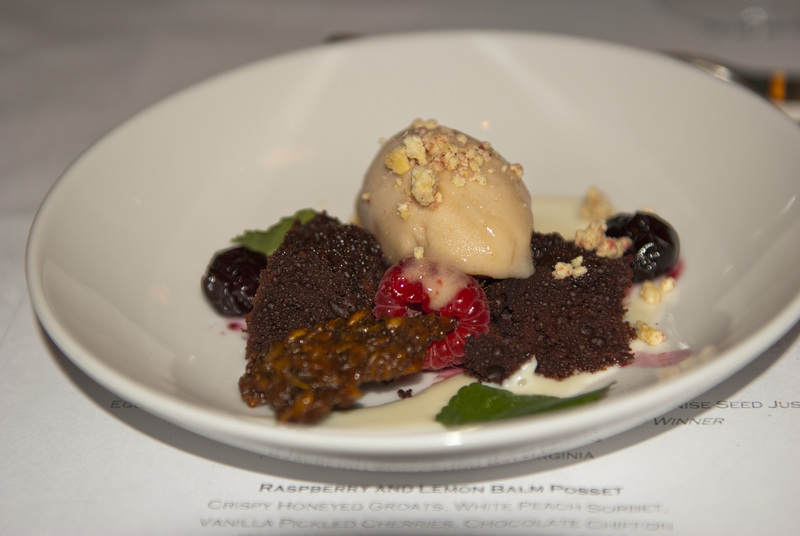 The Keswick Hall culinary team prepared dessert: a raspberry and lemon balm posset, which included crispy honeyed groats, white peach sorbet and vanilla pickled cherries. Paired with White Hall Vineyards’ 2011 soliterre, it was the perfect ending to a delicious meal. The Summer’s Bounty Garden Party was held in Keswick Hall’s restaurant, Fossett’s, which has spectacular panoramic views of the estate’s immaculate landscape and the beautiful Blue Ridge Mountains. We’d like to thank all of those at Keswick Hall and Fossett’s for opening your doors— and kitchen—to make our weekend so memorable. If you find yourself in the Virginia countryside anytime soon, Keswick Hall is the perfect retreat no matter what type of vacation you’re looking for. For more photos from the first 36 hours of our trip, view our Facebook page at www.facebook.com/Capitolgrillenashville. We’ll cover the rest of our trip in our next blog, so stay tuned for recipes from the festival and photos from our tour of Polyface Farm.